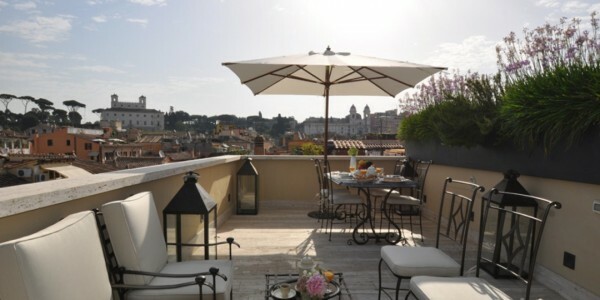 The Apartment is an elegant attic in the heart of the Eternal City,a few feet away from the Spanish Steps, with two splendid terraces suspended over a 360° view on the history of Rome. 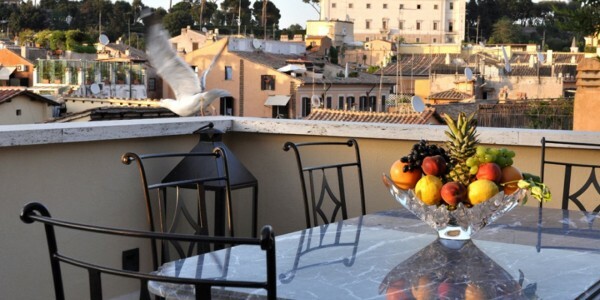 It is enclosed in a complete privacy and comfort in the top floor of a 1600 building. 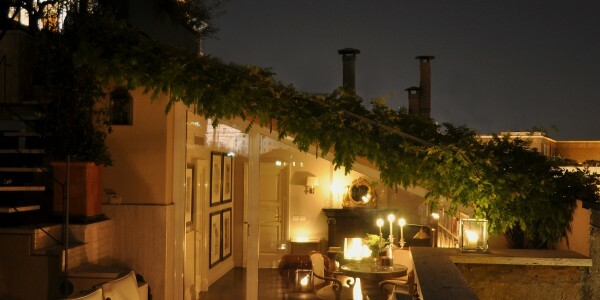 It offers guests the opportunity to book the whole house or one of the two luxury suites with an excellent service. 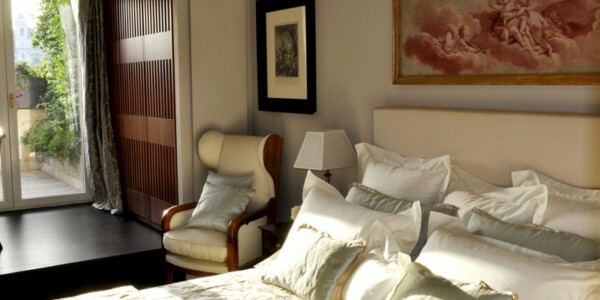 A rich breakfast, continental type, will be served on the terraces, or alternatively in the living room – fireplace, in the dining room or in the bedroom. 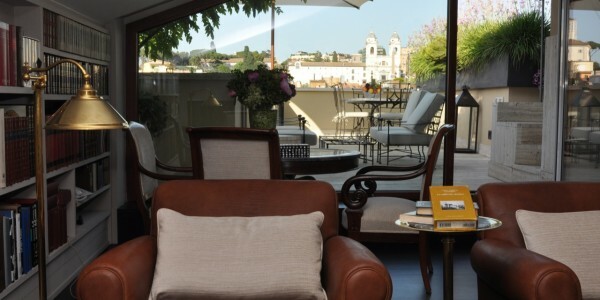 Accommodation: library with a fireplace and bedroom where charm, luxury and comfort are the characteristics that only the best artisan tradition of the Florentine masters can give. 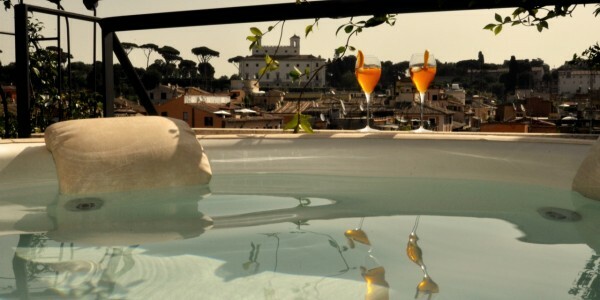 The suite has direct access to the furnished terraces, finely decorated with large heated Jacuzzi which offers a magnificent breathtaking 360° view that stretches from the Pincio to Villa Medici, from the Trinità dei Monti to Saint Peter’s dome. 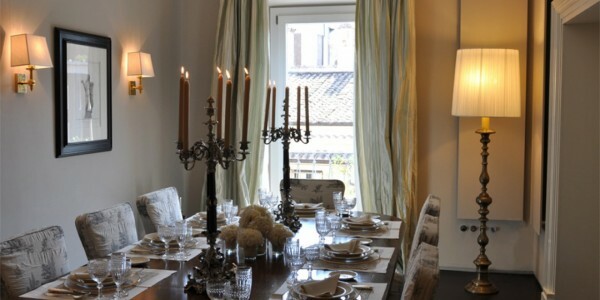 The second Suite between Via del Corso and Via della Croce, is a beautiful apartment composed of a large living room and of a magnificent dining room for 10 people, with its balconies facing Via del Corso (Basilica of San Carlo) and Via della Croce (Villa Medici). 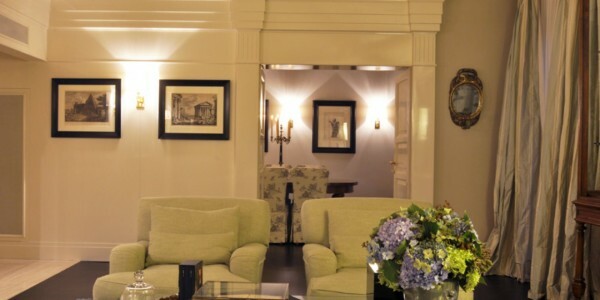 The splendid decoration includes prestigious sofas 19th century furniture and precious Florentine fabrics. 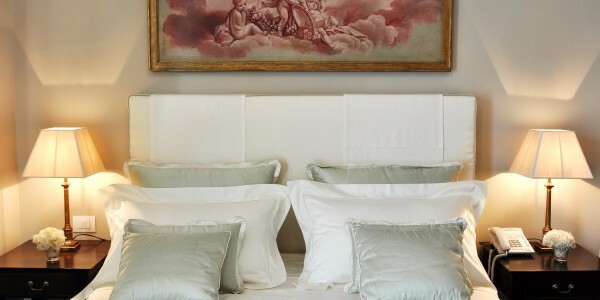 The sleeping area includes a double bedroom and a second study/bedroom with a sofabed, furnished with fabrics in delicate pastel shades.